Carve out a couple of hours and you’ll have it looking clutter-free and beautifully organized in no time! 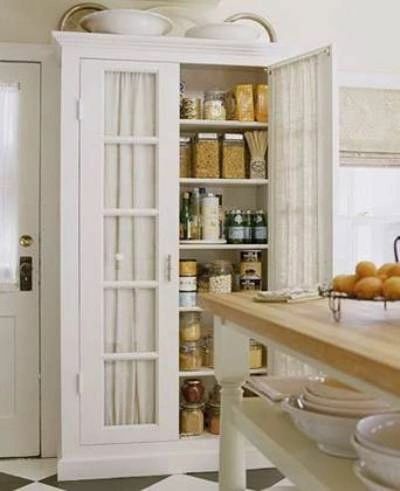 As with any room or closet in the house, the first step in pantry organization is taking everything out of the pantry and piling it on the kitchen table and counters. Cluster like items together so you can take inventory of what you have. Group your canned goods with spices, dried pastas with rice, chips and snacks go together and cereal with breakfast items. Look at each item checking the expiration date and making sure it hasn’t been on the shelf more than a year. 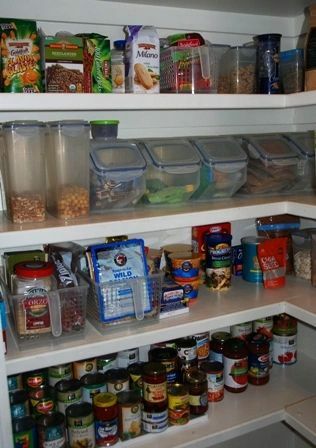 You'll be amazed how much space you create just by getting rid of old perishables. 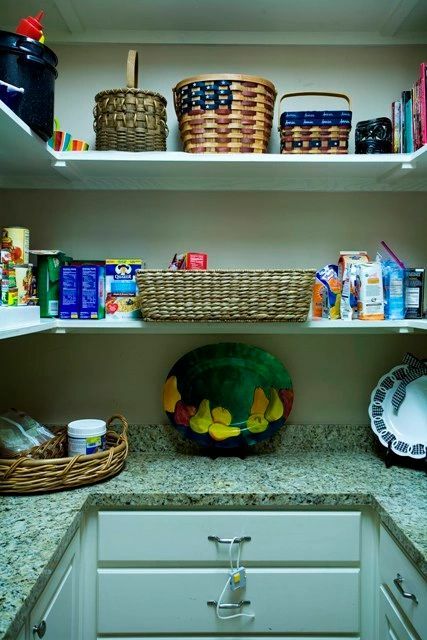 Take a moment to dust and wipe down the empty shelves before storing the items back in the pantry. Place the items you use most frequently front and center on the shelves. Less used products can be placed in hard to get areas or way up high. 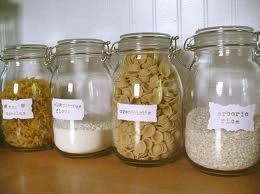 I like storing flower, sugar and dry goods in large glass containers like mason jars. You can also use airtight plastic for storage. Print a label or buy cute sticky labels from Target or Container store. Having fun some with the labels not only personalizes your pantry and makes it yours, it also makes the whole process more fun, and fun is an important part of any pantry organization job. 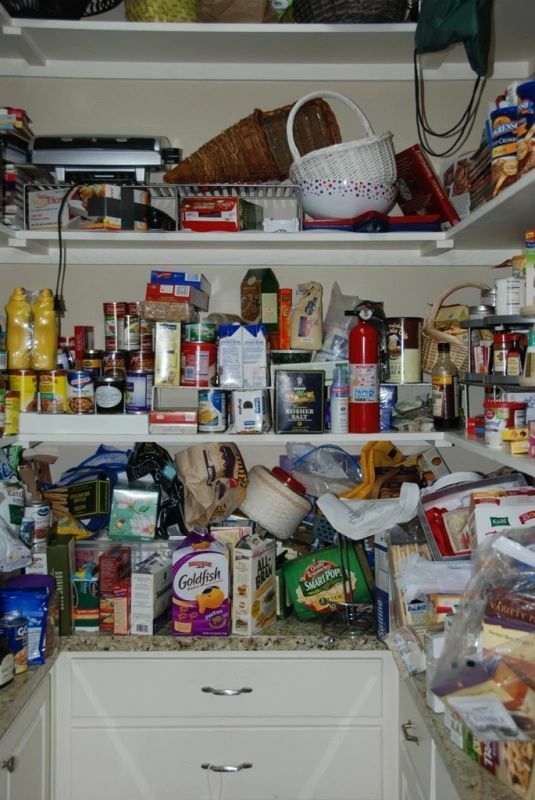 Canned goods and spices are easily visible when stored on risers. It can really expand your space. Stack the same cans together, front to back, placing the newest at the rear. Lazy Susan trays are also a good option, especially for bottles like olive oil and dressings. Attractive wicker baskets add a nice touch and really help to corral lots of loose items. 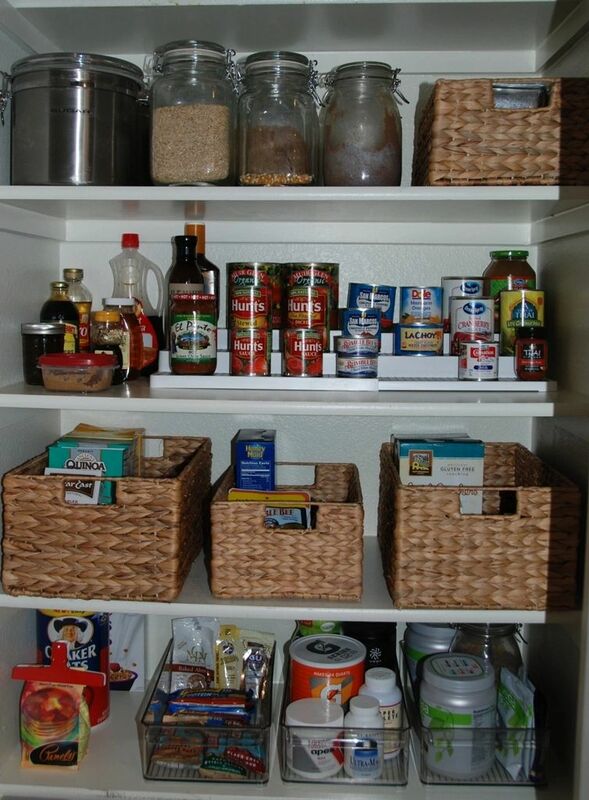 It will save you money and precious time if you can see everything stored in the pantry. And try and keep it well stocked to avoid the emergency run to the grocery store.